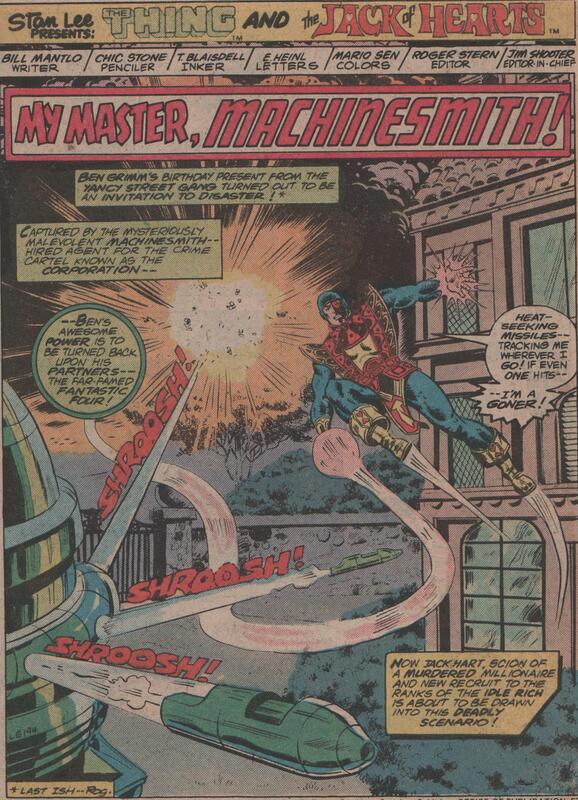 Marvel Two-in-One #48, 1978 “My Master, Machinesmith” | Magazines and Monsters! 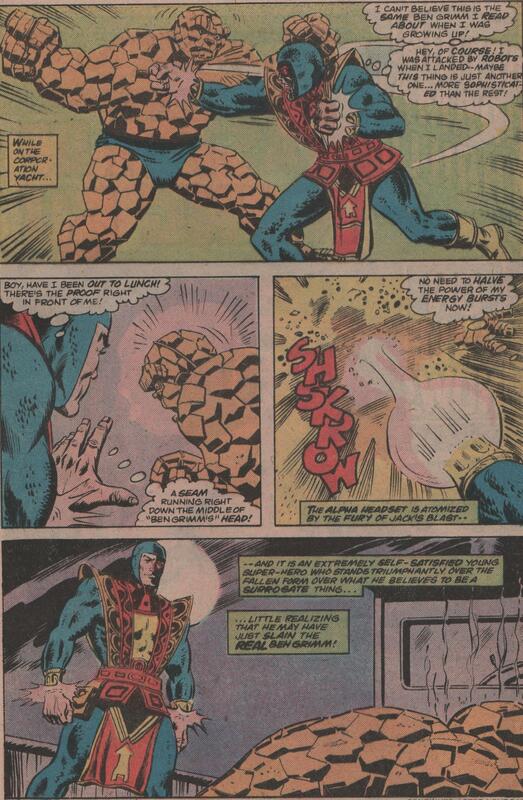 As promised, here is the second part of the Thing/Yancy Street Gang/Jack of Hearts story! 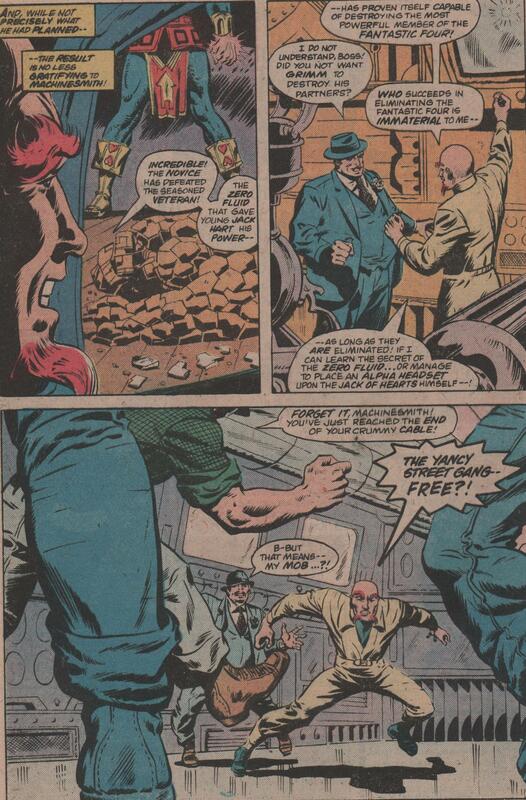 At the end of the last issue, we saw the Thing get captured by the Machinesmith, and his robots. Now, Jack of Hearts enters the fray, and the plot thickens! 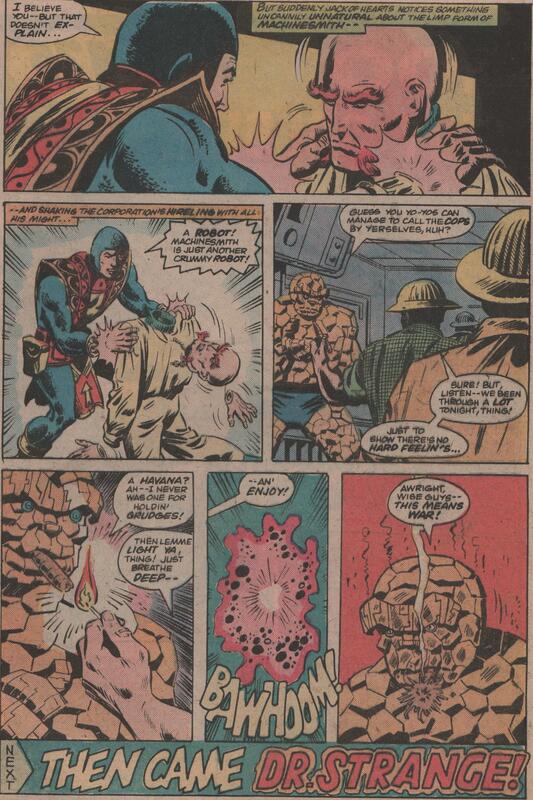 Everything actually looks like it’s going to get better, as Ben Grimm escapes his bonds, and attempts to attack the Machinesmith. 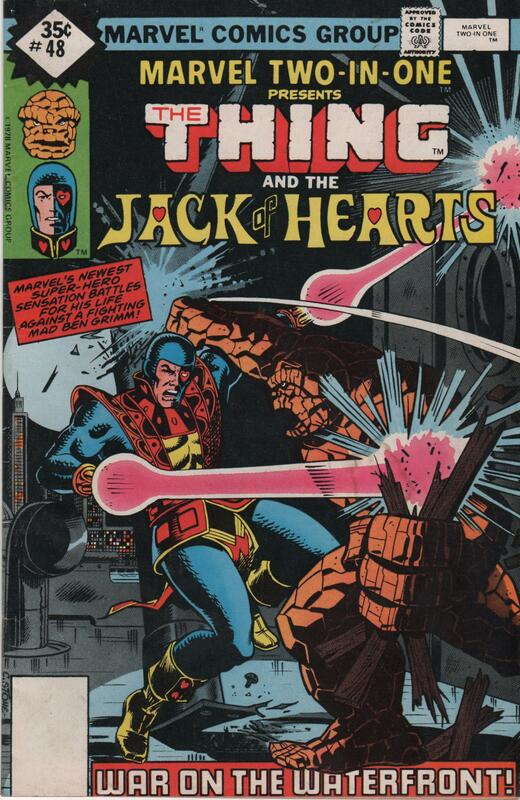 He gets mind-controlled though, and is then sent to kill Jack of Hearts! 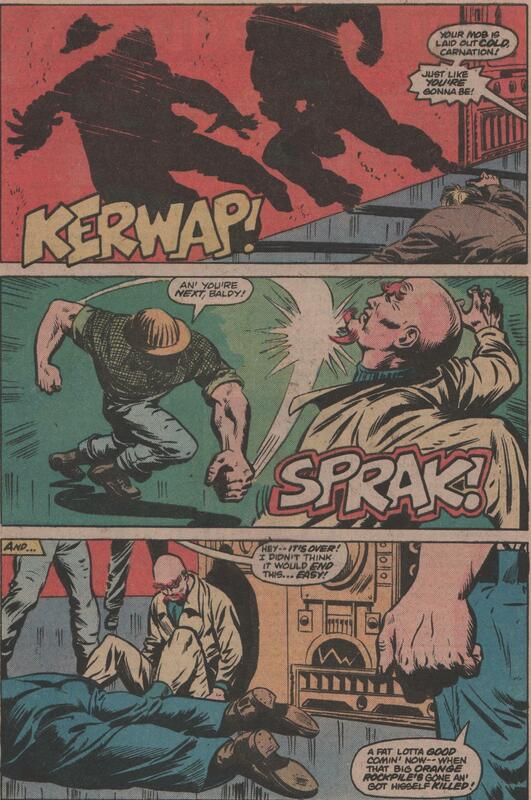 A great brawl between both heroes ensues, and then more craziness with the Yancy Street Gang, as well! 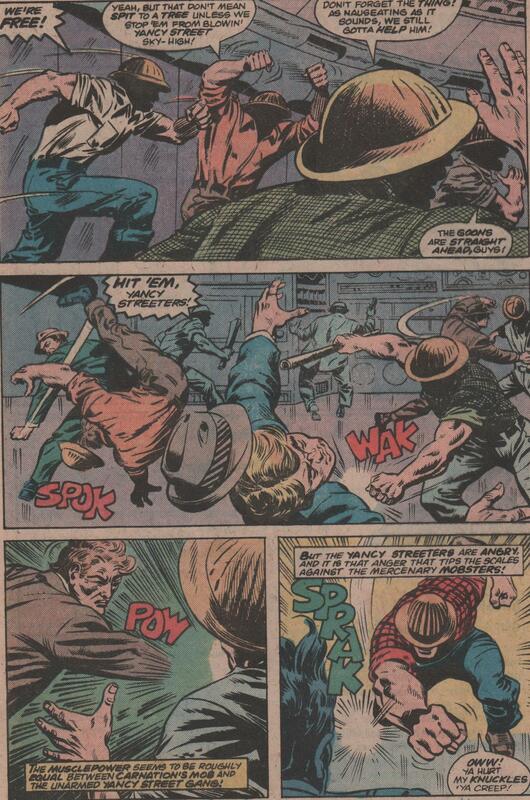 Another great one from Bill Mantlo, and pencils by Chic Stone (RIP),but sadly, Stone doesn’t ink his pencils again (as he did in the earlier issue), and no offense to Tex Blaisdell (RIP), but the artwork was definitely sub-par compared to last issues brilliance. Not that it’s bad, but it’s just not up to the level that Stone gave us before. The colorist is Mario Sen, letters by Elaine Heinl and Gaspar, edited by Roger Stern, and the cover once again, by Chic Stone! Enjoy! I remember it well. Thanks for the post. You bet, Todd! Thanks for checking it out!